The Wesley Endowment Fund was established in 1986 from a bequest made to UUCM by member Art Wesley. According to the Fund’s charter, the purpose of the Wesley Fund … read more. Please join member(s) of the Mission Statement Task Force to share your thoughts and feelings about the value of UUCM to yourself and to the wider world. Mission statements are a fundamental building block for any organization. Please click on this image to see a … read more. This week we take up a new monthly theme: What does it mean to be a people of Wholeness? Wholeness is paradoxically something that is already that state of things, inherent in our nature, and something we long for and aspire to, a goal of … read more. Note: Board Meeting Agendas are subject to change up until five days before the meeting. Meeting time: 6:00 p.m. – 9:30 p.m.
A large crowd gathered at the UU Marin congregational meeting on February 10th to honor Milton Wong for his 25 years of music which has enlivened and enriched us. Rich Panter delivered a poetic tribute, and the choir, accompanied by Jerry … read more. General Assembly is an unforgettable experience for the thousands of Unitarian Universalists that attend each June. Attendees leave with a renewed sense of energy, inspiration, and innovative ideas to take back to their congregations and communities. … read more. 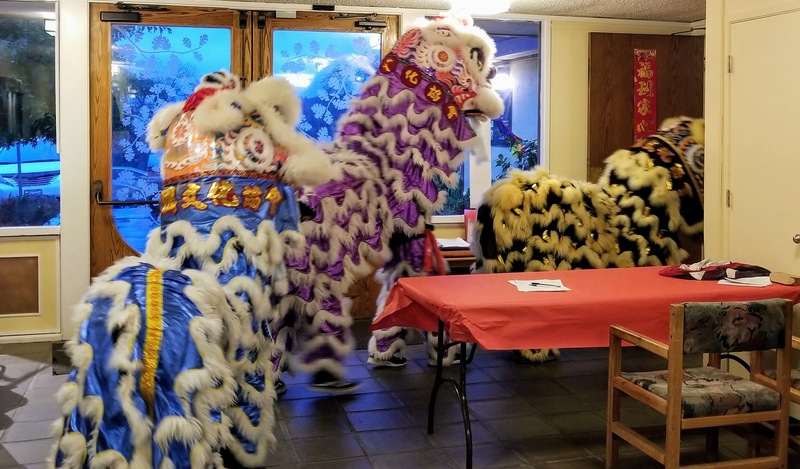 On February 2, we gathered for a Chinese buffet and celebration of the Year of the Pig. Here are some pictures from that event. The Retreat provides a unique opportunity … read more.